Republican presidential candidate, Ron Paul, is calling Al-Awlaki's assassination "an impeachable offense," and says that the administration "flouted the law" and is moving towards "tyranny." These are strong words and not unexpected in campaign season, but they do have a disturbing ring of truth. This may be the first time the United States government has targeted one of its own citizens after placing him on the enemy combatant kill or capture list, without satisfactorily explaining why he was not entitled to arrest, a fair trial or constitutional "due process of law" like other U.S. citizens. The Justice Department on October 2, 2011 gave the CIA approval to kill Al-Awlaki on grounds of "self-defense" because he was "targeting U.S. citizens." But so far we have been offered no visible proof that he was anything more than a crazy militant ideologue, instigating others to violence, without firing a shot himself. Political assassinations were banned by President Gerald Ford in 1976, so people on the CIA list are assumed to be military enemies of the U.S. and therefore legitimate targets. The underlying unease about Al-Awlaki's assassination is that there is considerable argument about whether he had become "operational" and was actively plotting or whether he was merely inspiring terrorism. It is unfortunate that more information, if indeed it exists, is not made public to help clarify the situation. On July 16, 2010 the U.S. Treasury added his name to their list of Specially Designated Global Terrorists and he was banned from travelling to the U.S.. The United Nations Security Council Resolution 1267 then placed Al-Awlaki on its list of al Qaeda associates, saying that he was the al Qaeda leader in the Arabian Peninsula and was actively involved in recruiting and training camps. In September 2010, the United Kingdom's MI 5 said that Al-Awlaki was the West's public enemy number one. Al-Awlaki may have been on everyone's list by then but he was still an American citizen and the legality of making him a terrorist target for assassination was challenged, unsuccessfully, by the American Civil Liberties Union. At the request of Al-Awlaki's father, they sought an injunction in August 2010 to prevent the targeted killing and asked the government to reveal the standards by which an American citizen may be "targeted for death." The lawsuit was thrown out by the judge and the information sought was not provided. Perhaps the issue would not have the same pertinence if the U.S. State Department had indeed stripped Al-Awlaki of his citizenship as was proposed by Rep Charlie Dent (R.PA) in April 2010. Dent introduced a resolution urging the U.S. State Department to issue a "certificate of loss of nationality" to Al-Awlaki. He said Al-Awlaki "preaches a culture of hate" and had been a functioning member of al Qaeda "since before 9/11," and had effectively renounced his citizenship by engaging in treasonous acts. But the proposal never made it out of subcommittee. It was once possible to lose one's U.S. citizenship by fighting in another country's army against the United States but the Supreme Court has found that unconstitutional under the 14th amendment. Ironically, the virulently anti-semitic cleric's citizenship was protected by a case that involved a dual U.S.-Israeli citizen fighting to keep his U.S. citizenship after voting in an Israeli election. There is no doubt that Al-Awlaki was a radical advocate for terrorism and has probably been responsible for inciting the deaths of many innocents. But the summary execution of a citizen, based on evidence that is being withheld from the public because of security implications, has been described by a commentator in the UK Guardian as "abandoning our own values" in the pursuit of the war against terror. Obama has repeatedly said that we do not have to make a false choice between security and values, but his subsequent actions seem to raise uneasy questions about accountability and due process. Since January 2010, the White House has been considering the legalities of attempting to kill Al-Awlaki and finally ruled that it was permissible "under international law" although conceding it was a rare "if not unprecedented" move because of his citizenship. It seems somewhat disingenuous for the administration to quote international law considering that the U.S. is not a signatory to the UN International Court, having withdrawn in 2002 on the grounds that "the United States will regard as illegitimate any attempt by the court or state parties to the treaty to assert the ICC's jurisdiction over American citizens." Trying to bring the U.S. counterterrorism practices in line with either international or domestic law is obviously a gray area as capabilities, techniques and technological innovations are outpacing the creation of laws to cover them. It is timely that the circumstances surrounding Al-Awlaki's death should be reviewed and that the international debate be continued about drone strikes. Clarity is needed about their "legality" and definitions are also needed of imminent threat, hot battlefield and the right to take military action in countries where governments are unwilling or unable to take that action themselves. The justifications for killing Al-Awlaki will continue, but in the meantime, little has been said about the death of his companion, also a U.S. citizen. Samir Khan was an editor of the al Qaeda publication Inspire and has never been accused of plotting attacks against Americans. He was collateral damage in an increasingly murky world where citizens' civil rights are being overlooked in the pursuit of security, and hopes of peace being destroyed in the process. 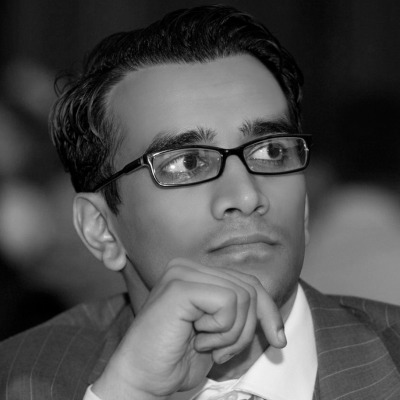 Dr Azeem Ibrahim is a Fellow and Member of the Board of Directors at the Institute of Social Policy and Understanding and a former Research Scholar at the Kennedy School of Government at Harvard and World Fellow at Yale.